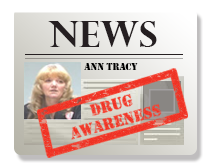 Home » FDA WHISTLEBLOWER SPEAKS OUT – THINK YOU HAVE DRUG SAFETY? BETTER THINK AGAIN!! 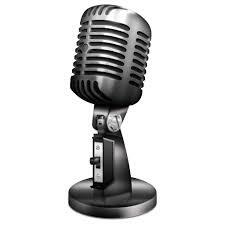 FDA WHISTLEBLOWER SPEAKS OUT – THINK YOU HAVE DRUG SAFETY? BETTER THINK AGAIN!! Prescription drugs, taken as prescribed (according to FDA guidelines), are the third leading cause of death in American (according to THEIR figures which could easily be tampered with to keep the figures lower than what they really are). This article will help you to see why we are seeing such a large number of deaths as a result of the FDA’s policies. Another FDA whistleblower has stepped forward, and what he has to say about the agency’s drug safety reviews is shocking even to the jaded reports my friend Dr. Joesph Mercola. This article is an alarming wake up call for those who have been under the assumption that the FDA has the public safety in mind & is busy protecting our health & safety. 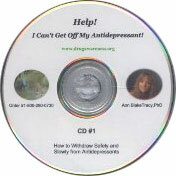 “I am Mark Allen Taylor and I am a victim of the SSRI antidepressant era. I took six to thirteen bullets in the heart area in the Columbine High School shooting when Eric Harris on Luvox opened fire that now infamous day. They almost had to amputate my leg and my arm. My heart missed by only one millimeter. I had three surgeries. Five years later I am still recuperating. “I went through all this to realize that SSRI antidepressants are dangerous for those who take them and for all those who associate with those who take them. I hope that my testimony today shows you that you need to take action immediately before more innocent people like me, and you, do not get hurt or die horrible deaths as a result. As Americans we should have the right to feel safe and if you were doing your job we would be safe. Why are we worrying about terrorists in other countries when the pharmaceutical companies have proven to be our biggest terrorists by releasing these drugs on an unsuspecting public? How are we suppose to feel safe at school, at home, on the street, at church or anywhere else if we cannot trust the FDA to do what we are paying you to do? Where were you when I and all of my classmates got shot at Columbine? “You say that antidepressants are effective. So why did they not help Eric Harris before he shot me? According to Eric they “helped” him to feel homicidal and suicidal after only six weeks on Zoloft. And then he said that dropping off Luvox cold turkey would help him “fuel the rage” he needed to shoot everyone. But he continued on Luvox and shot us all anyway. “So, why did these so called antidepressants not make him better? I will tell you why. It is because they do not work. Dangers to pregnant women and their developing fetuses are also frequently ignored. The cost to us all is great whether we have taken these dangerous & deadly drugs or not, we all pay the price in higher insurance costs, higher taxes to support those now disabled and loss in productivity and contribution to society by those lost to the deadly effects of these unsafe drugs. All in all, the FDA appears to be engaged in a systematic hush-operation designed to give just about anything Big Pharma develops the green light. Essentially, dangerous drugs are given a rubber stamp of approval—the necessary go-ahead to make obscene profits while killing and injuring hundreds of thousands daily. It is, quite simply, inexcusable. The mainstream media has a lot to answer for as well, as their lack of reporting on these issues contributes to the problem by keeping a lid on reality. Do I believe our media should be held accountable? Without a doubt! I have seen sections of newspapers discontinued for continuing to publish my information on antidepressant, major television shows canceled for doing a show on this subject, etc. This failure to warn on their part leaves blood on their hands as well. We NEED investigative reporters willing to cover the truth about something as critical as our health like Martha Rosenburg, the author of the original article containing this interview with an FDA whistleblower for the online news magazine Truth-Out. Our very lives are at stake in this. This is why Our International Coalition for Drug Awareness site is dedicated to the Washington Post reporter Morton Mintz who was awarded for his reporting keeping the deadly drug Thalidomide off the market in the United States. He is author of the incredible book giving us a very early warning of this approaching nightmare via the FDA, titled appropriately A Therapeutic Nightmare: A report on prescription drugs, the men who make them, and the agency that controls them (1965). 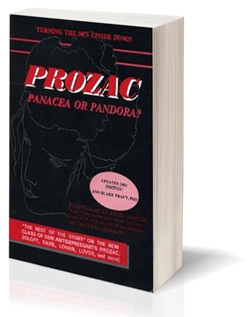 In a telephone conversation in 1994 Morton Mintz told me to not to waste my time, energy, & resources publishing my book Prozac: Panacea or Pandora? – Our Serotonin Nightmare because no one would bother to read it & heed the warning just as they had not read his book & heeded the warning contained there. Then to my utter shock & amazement he told me that only 5000 copies of his book sold – an absolutely amazing book that I would recommend everyone have a copy of in their library! This FDA whistleblower goes on to say that the FDA works to discredit whistleblowers & then even make it clear that speaking out may not only cost them their jobs, but also cost them their lives. 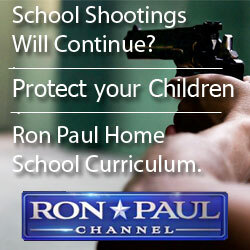 Is that what has happened to Columbine survivor Mark Taylor? In face the evidence seems quite clear that this is the case. He may have survived 7 – 13 bullets at Columbine, but surviving the pharma mafia after speaking out against these drugs is another story! Pray for Mark! PLEASE!!! Posted in Articles, Breaking News - Our Most Recent Serotonin Nightmares., Recent Cases Blog and tagged adverse reactions, Antidepressant, Columbine, Eric Harris, FDA safety, FDA whistleblower, Mark Taylor, prescription death, prescription drug dangers.